Wild Safflower is a spiny-leaved annual herb, growing up to 1.5 m tall. It is closely related to Safflower. Like other spiny plants in the genus Carthamus, this species is not grazed by livestock, enabling it to spread on grazing lands. 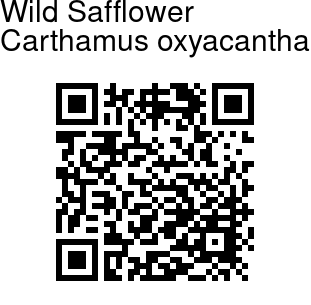 The genus name Carthamus comes from the Arabic name qartam for safflower. The yellow flowers grow in flower heads about 1-1.5 inches across. Leaves are covered with spines. 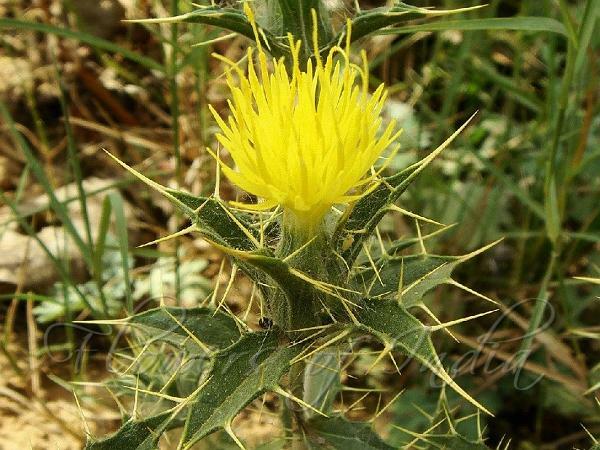 Wild Safflower can be distinguished from the Safflower by the larger, pointed spines. The species name oxyacanthus means pointed spines.